(APOPKA, FL) – Crews are scheduled at night on Monday, March 5, through Friday morning, March 9, to close County Road 435 at State Road 429. The closures also will include the southbound ramp of SR 429 starting at SR 46. 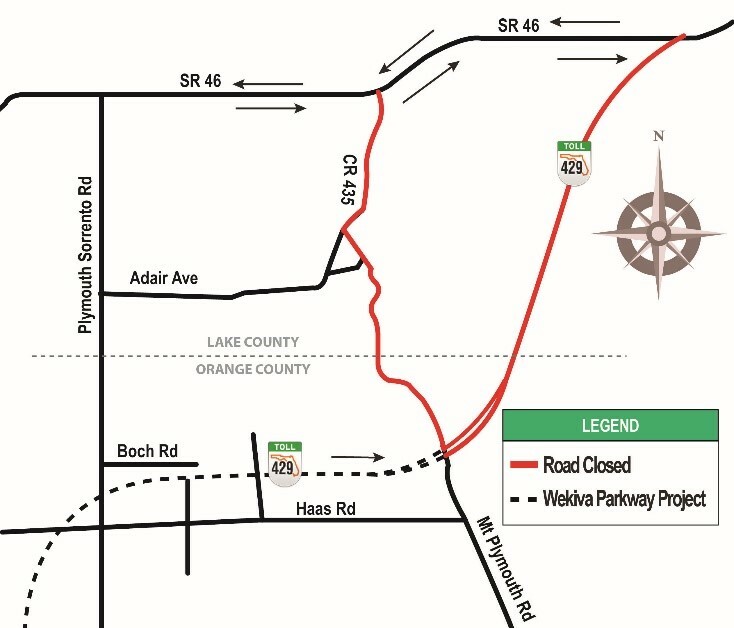 Closures and detours are scheduled nightly from 9 p.m. - 5 a.m. to allow crews to finish the bridge deck as part of building the Wekiva Parkway (SR 429).